Halton is a place where we welcome, respect and celebrate the diversity and uniqueness of all residents. Recently I attended an event where I was honoured to represent Halton Region for its role in the award-winning Halton Newcomer Strategy. 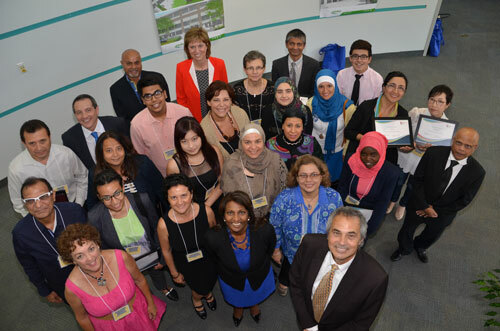 The Ontario Municipal Social Services Association (OMSSA) has recognized Halton Region and 45 community partners who work together through the Halton Newcomer Strategy with a Local Municipal Champion Award for our commitment to making Halton a welcoming, inclusive and supportive community where newcomers can prosper. The award was presented at the Halton Newcomer Strategy’s first recognition event where community partners and stakeholders, including Halton Region, joined to celebrate the accomplishments of local newcomer heroes, as well as receive recognition for the great work they’ve accomplished so far. As Chair, I talk to many newcomers to our Region, hear about the many sacrifices they make in order to be successful in Halton and I’m reminded how our wide range of backgrounds, traditions and experiences are a source of strength for our Region, providing us with new perspectives and talents. I’m honoured that our commitment to creating welcoming communities for our newest residents was recognized with this award, as the Halton Newcomer Strategy is an important part of keeping Halton a great place to live, work, raise a family and retire. If you’d like to learn more about how the Halton Newcomer Strategy can help welcome you or other newcomers to Halton, visit www.welcometohalton.ca.